Look at all the Bournville Harriers! Continuing my season of races, today took me back to the delightful Wythall Hollywood 10k. Last year’s inaugural running of the 10k race (2x laps of the 5k course) granted a massive 25 seconds PB for me, so read on to find out how I fared in the 2014 outing. A day-trip to Manchester with Lis, Iain and Elsa probably wasn’t the greatest pre-race prep I could have undertaken. Nor would the immense protein-athon at Red’s True BBQ qualify as adequate pre-race nutrition (it was damn good, mind). Oh yeah, you can also add a random alarm going off in the neighbourhood during the middle of the night for 20 minutes+ to my list of pre-race faux pas. I am currently near my limit in terms of hard, quality training and regular racing. Mentally and physically, I’m fried and really need a true recovery week – something I was much more disciplined about during marathon training but seems to have gone out the window this summer, much like last year. Going into the race, I decided to make use of my new pair of Adidas Adios Boost I had received as Cannon Hill’s Parkrunner of the month (collected from Manchester, hence why we were there). I’ve broken out new shoes before at races, only to then score PBs and this wasn’t an A-race for me so any risks were fairly low. Before a half marathon or a marathon – no freaking way! After collecting my bib from registration, a club runner approached me and asked if I was, “the guy with the blog?” I replied with, “I’m a guy with a blog”, to try and sound him out a bit further and just in case he was genuinely referring to somebody else. It turned out he had searched for a report or review of last year’s Wythall Hollywood 10k and ended up here! If you’re a reader and ever see me out training or at a race, do come over and say “hello” – it’s always good to meet fellow runners. Anywho, Darryll Thomas was the mystery runner’s name and he belonged to Bromsgrove & Redditch AC – here’s your shout-out! We had a chat about how the recent London Marathon had really dulled our legs in terms of speed and gave little else back in return. What was rather funny was a reference and connection to last year’s race and review – Darryll was the guy that had “died” crossing the line! Small world or what? Out in the race HQ yard, I bumped into a fair few of the Kings Heath Running Club contingent, including Sean Whan, Barbara Partridge and Steve Wilson. The club was really out en masse and easily eclipsed the next largest club by 2 to 1. Speaking of which, the next largest club in attendance was Bournville Harriers, including a guest-appearance by Suz West. Lis and I had a catch-up with Suz and her marathon antics including the prestige of securing a GFA place for the 2015 London Marathon. With only 20 minutes or so before we were due to start running, I excused myself for a 1 mile warm-up on the closing stages of the course (felt pretty rubbish, but hey-ho). It was nearly time for the race to begin, so I made my way over to the startline. I love small, local races because it’s less of a bunfight to get closer to the front for a prime PB attempt position. Feeling great? Promote yourself a bit nearer to the line. Feeling shite? Put yourself a bit further back with no fuss. Now if only Wythall Hollywood’s race committee would put chip timing in place, it’d be a near-perfect; even if they had to add a couple of quid on to each entry, I’d pay that for timing accuracy and speed of results turnaround (last year’s week-long wait for results really was too much). Shortly after the briefing, we runners were released into the wild to carve out our 5k and 10k destinies. The first few hundred metres made for possibly the cleanest race start for me, ever. I saw Darryll shooting off into the distance at a very nice clip; definitely sub-40 target pace since I was hovering around 4:02/km at that point. I also clocked Steve Wilson ahead of me by about 20m, looking very strong, so I tried to keep him in my sights at all times. I felt OK in the first km, but my legs were definitely heavy and lacked that zip that I normally have before a tapered race. The Adios Boosts on my feet also felt pretty good; definitely heavier than my normal Flyknit Racers but there was a nice responsiveness to them – a longer distance race shoe for sure. The second km with the incline hit me. I was able to pass runners but I did feel like I was working too hard for the effort. Unlike last year’s scorcher, I couldn’t use the excuse of a warm day for a poor result. As always, I found myself running on my own to follow the shortest line on the course – all of those extra steps to run wide make a difference when your PBs are down to mere seconds! Upon reaching the peak of the summit, I breathed a sigh of relief at a chance to recover slightly on the downhill. I really should get some downhill training in place some day to really help me take advantage, rather than losing time going up and down. The next 2km were largely forgettable, with the highlight being a hosepipe offering some mist spray for weary runners. Entering the Phoenix complex, I could see Darryll was just exiting for a good 50 – 60 second lead on me. Turning the corner, I was pleased to see the race organisers had kept to their word of shortening this stretch of the course to compensate for the movement of the finish line – now situated inside race HQ (about 40-50m further if my man-maths were accurate). Running out of the complex, I sank my Isogel to set me up to do it all again for the second lap. 400m or so before returning to the start area, I had Lis waiting with an ice-cold bottle of Nectar Fuel. I purposely chose to chuck the water offered so far on the course over my head, so the Nectar was a welcome thirst quencher. Approaching lap 2, the group I ran with split up so that those running the 5k race could finish and 10k runners were asked to remain left, leaving me with only one other person to immediately run with. Steve was still 15m or so ahead of me and served as a good target to try and lock on to. Once we began our second lap climb, I was able to steadily reel him in before I was able to overtake at near enough the exact same spot as last year’s race for an odd sensation of déjà vu. Steve spurred me on with a few words of encouragement, which really pushed me to get the climb over and done with. My next targets were a chap in a black vest and a female Kenilworth Runner. They were maybe 25m away and just slightly too far to try and actively shrink the gap between us, so I continued to just remain steady and bide my time. I was now running in no-man’s land with nobody behind for 10 seconds or so. Passing by the chap with the hosepipe, he remarked, “You’re still looking good, 552”, which made me look down at my own bib to double check that he was talking about me. Despite his kind words, I felt pretty dreadful. My breathing was all over the place and a recently healed blister had reformed on my right foot. The weight of the Adios Boosts was now definitely more pronounced and I was longing for my light as a feather Flyknit Racers. With all the wrong that was happening, I convinced myself to try and lift the pace with just 2km left to go. I shortened my stride to bring my cadence up and continued my campaign towards the finish. Entering the Phoenix complex for the second time, I again saw Darryll exiting but I had managed to close the gap slightly by maybe 10 seconds – progress is progress! I was aghast to see that the race organisers had now extended the U-turn part of the course; “I thought this part was shorter” I quizzed the marshall, who jokingly replied with, “Everybody’s asked me that so far”. The U-turn had managed to slow the Kenilworth Runner and bloke down by a touch and both were now within spitting distance. Exiting the complex, I managed to bring them both even closer by running a cleaner line. On the approach to the final corner, the Kenilworth girl managed to break away from the bloke she had so diligently followed for the entire race, creating a rough 2 second gap for herself. I saw Lis who was frantically shouting that I was within sight of a PB if I kicked, so that I did to overtake the Kenilworth girl in one swift move. I could hear heavy breathing behind and a guy in a blue t-shirt had followed me with a kick to also overtake the Kenilworth girl. I reacted with another surge of my own to put some distance between us to take me into the final straight towards the finish line. The road was clear ahead apart from a marshal shouting out orders for 10k runners to stay to the left and 5k runners to go right. Just before the spot where last year’s finish line was, another marshal then said for finishers to go to the right and then follow the funnel towards the line. This was just really messy, I thought; do you want us to go left or right? The first marshal should have just told all finishing runners to stay to the right to enter the funnel. I had to do a quick swerve to the right, then left to enter the funnel. One last 20m sprint took me past one of the remaining 5k runners and the line for a season’s best of 40:57. As per usual, I was incredibly unsteady on my feet and once I’d exited the finish area, I had to lie down on my back for a moment. Darryll came over for a short catch-up, himself only 15 seconds ahead we think. I also caught a few words with the Kenilworth girl and black vest bloke, thanking them for staying so consistent in the second lap. Once I’d completely caught my breath, I went over to the finish funnel just in time to cheer Suz through. Most people I’d spoken to afterwards were not successful in their PB attempts, which I’m not surprised by. The course is not well suited to PBs, with a beefy stretch of incline and an awkward U-turn that both need to be hit twice. 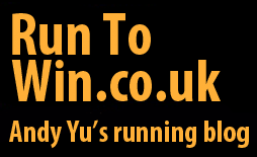 Lis asked me if I would run it again – I most likely will because it’s pretty cheap to enter and convenient to get to. Like independent retailers, small local races also need the support of runners to keep going after all. The Wythall Hollywood 10k also serves as a nice benchmark race to gauge my progress, where I’m now a whole 1.5 minutes faster than this time last year on the same course. If I can pull out a similar performance leap at September’s Cardiff 10k then that highly sought after sub-40 10k will finally be mine. Click here for the Garmin data for this race. This entry was posted in Races and tagged 10k, Bournville Harriers, Garmin, Kings Heath Running Club, race, Wythall & Hollywood 10k. Bookmark the permalink.